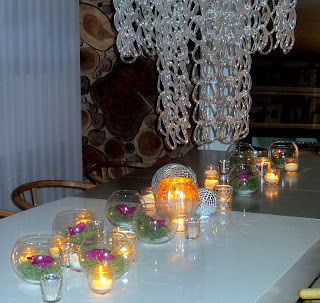 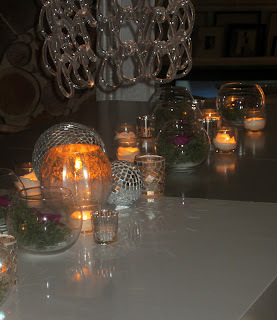 I wanted to share with you the table scape that I quickly pulled together for our party that we recently had. 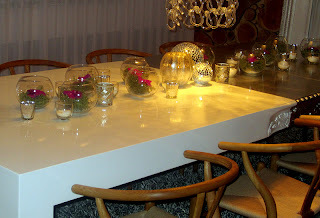 I was looking for a quick and easy way to dress up our dining table, but didn't want it to be too much and wanted to still keep the nice modern look of our dining area. I decided to go with simple orchids since they produce many flowers at a minimal cost. 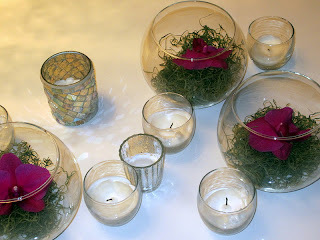 I took some fish bowl style glass vases that I had from Michael's and added a small amount of sand to each one along with a small amount of nice green moss also found at Michael's. 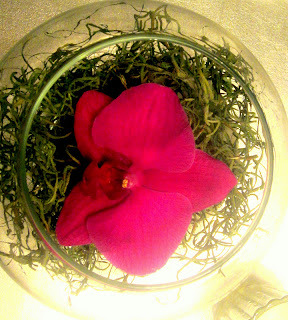 Then I clipped just the flowers off of each orchid and placed one in to each bowl. 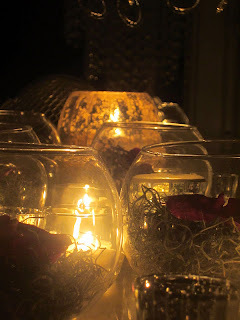 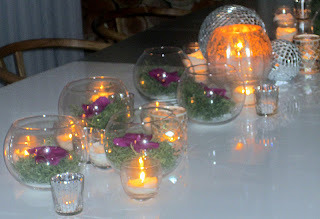 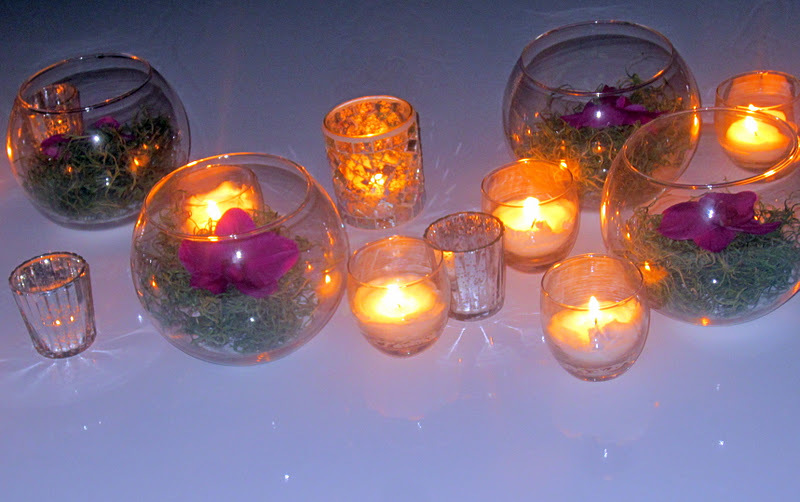 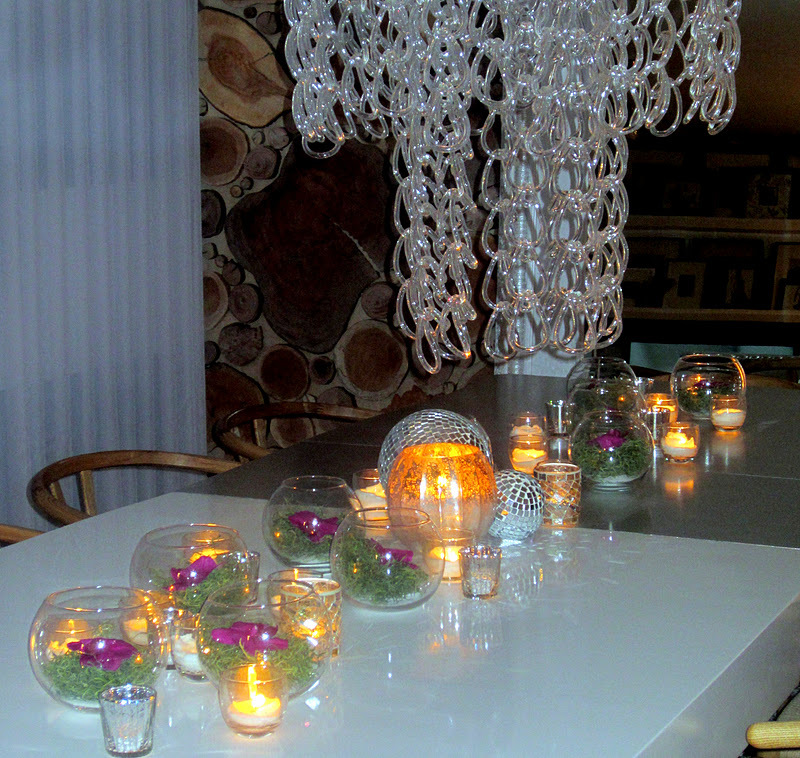 I then took all the various candle holders that I have and spread them across the table amongst the flowers. 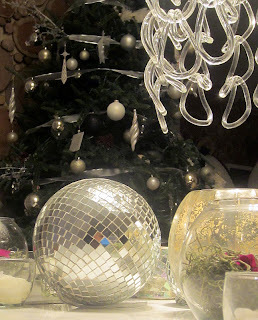 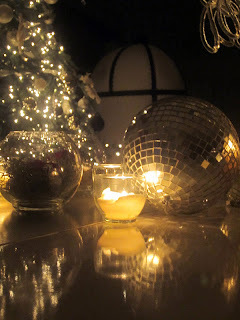 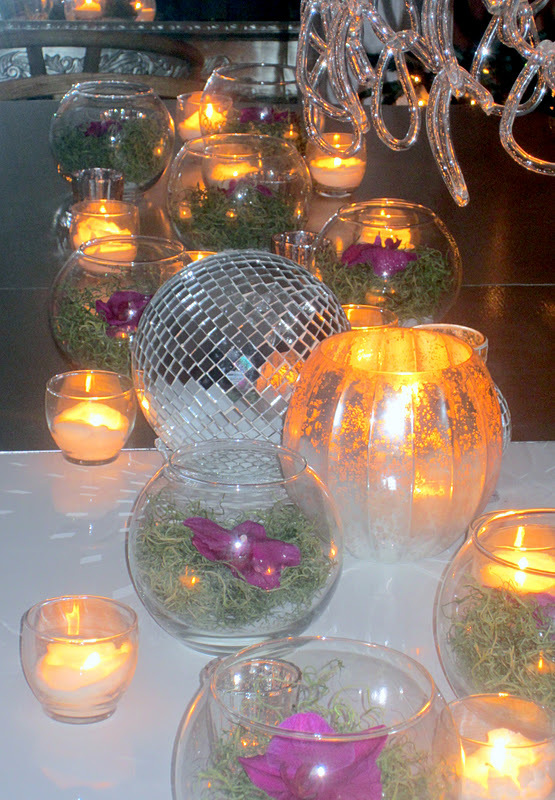 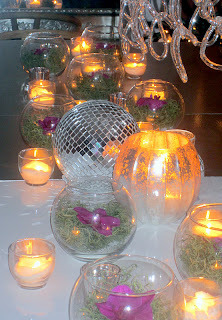 Lastly I mixed in just a few silvery disco ball-esq ornaments that I had on hand from Home Goods. 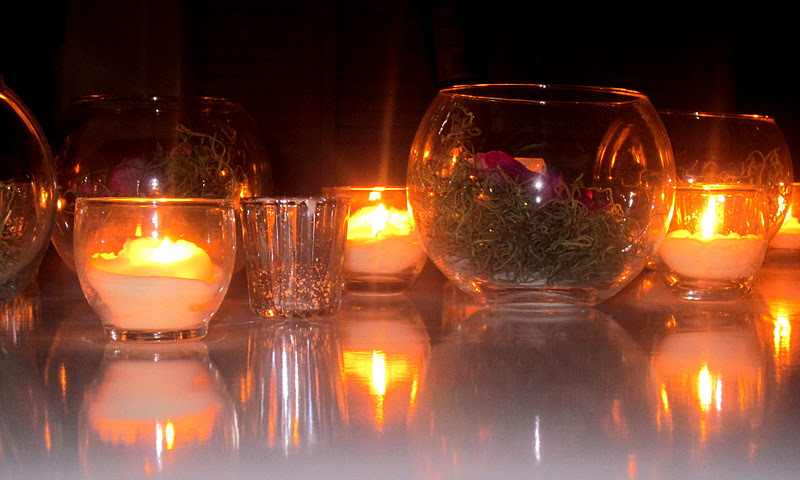 The result is simple, and stunning. 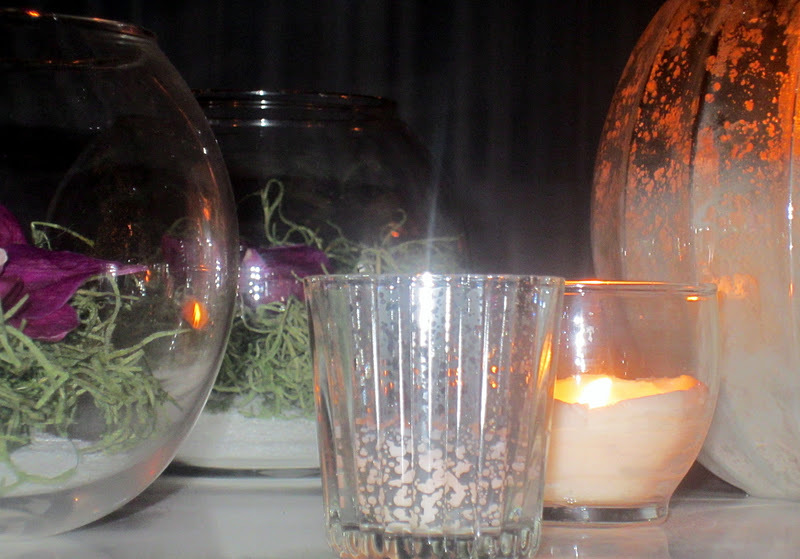 I have a total of 15 vases with moss and orchids, and an additional 35 small candles. I find these and pick them up constantly as I go since you can NEVER have enough candles when entertaining, but I find a good source to be Wal Mart at $.59 ea and Target for the mercury glass ones which were $.99 ea. 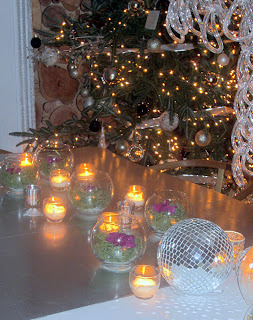 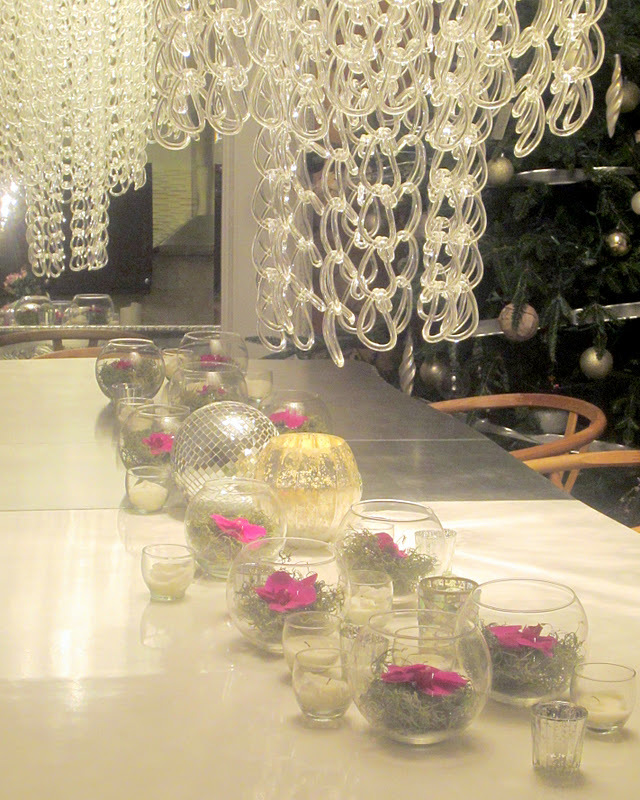 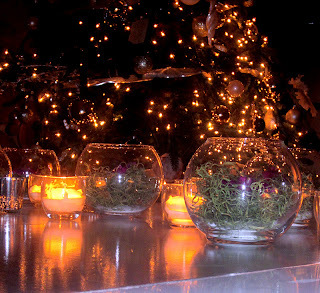 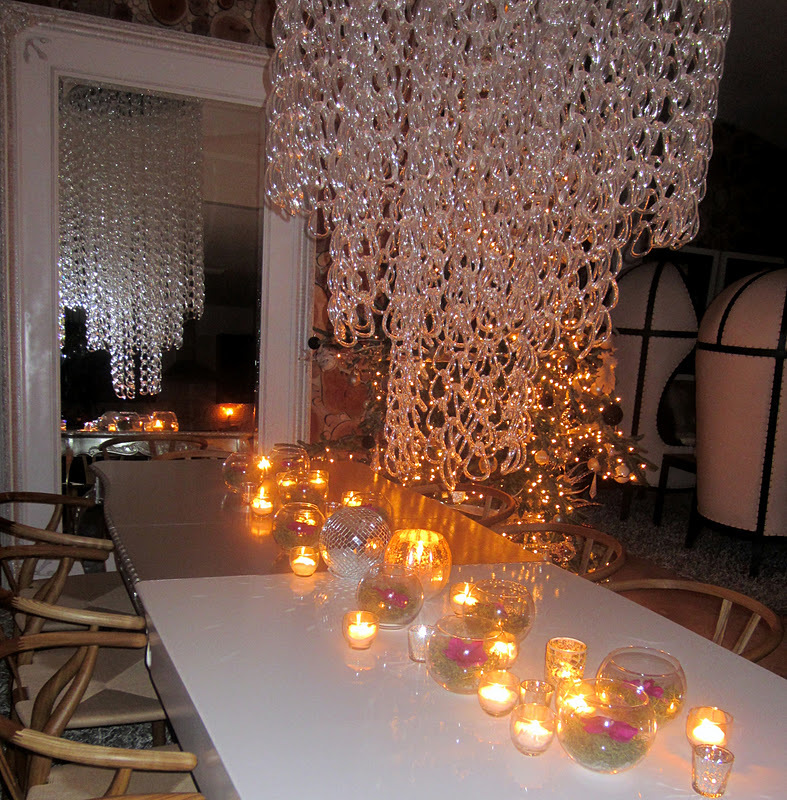 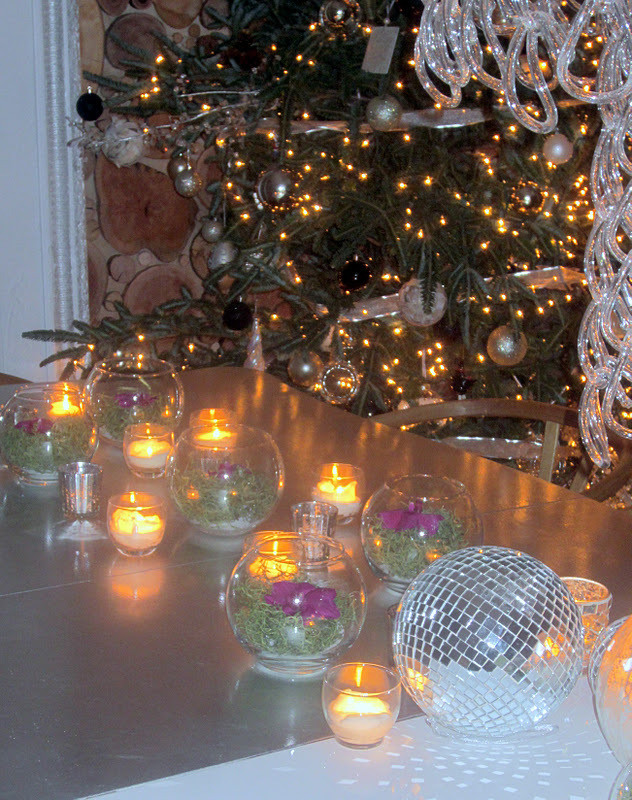 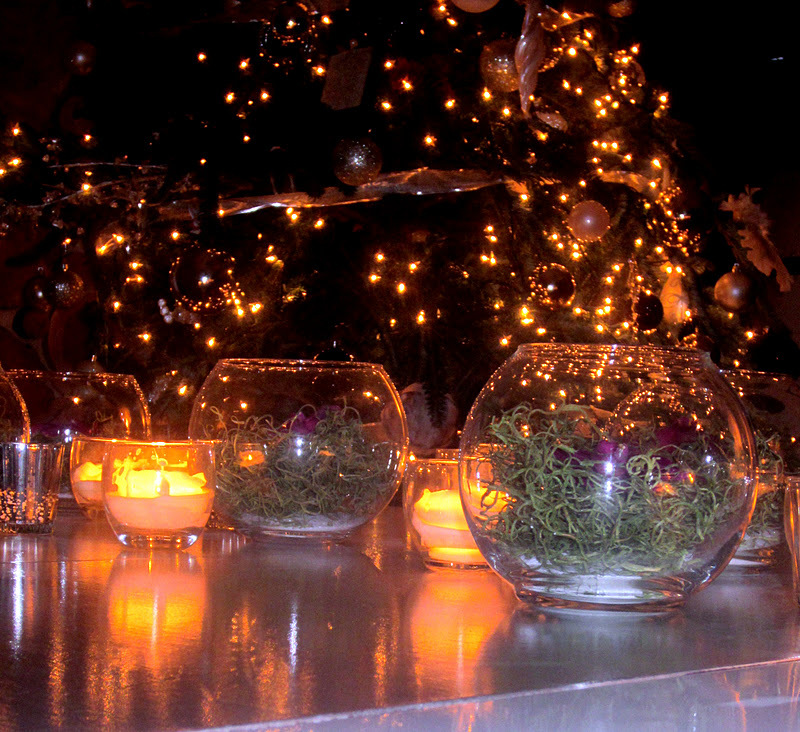 I hope you have found a way to make your table sparkle as well for this holiday season. 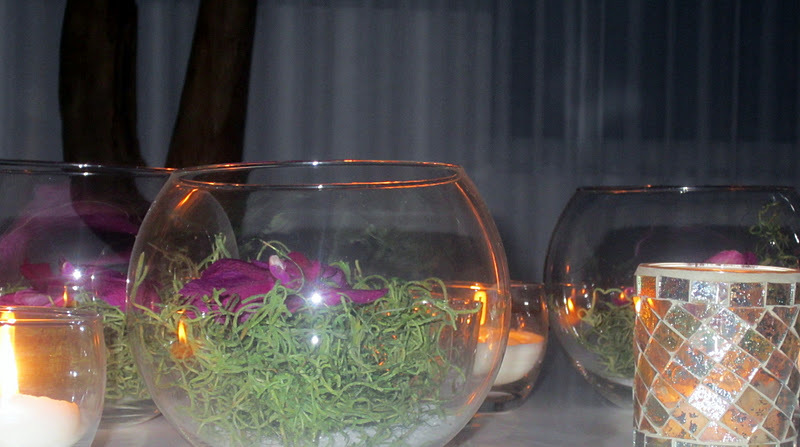 We would love to see what you've done!